As you begin to read this review and notice AppyZoo’s icon choice, don’t assume that it is an educational app for girls only. Quite the contrary!! I was pleasantly surprised to find that this educational app had so much more than I had anticipated. 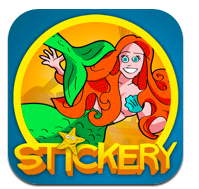 It offers video storytelling of a wicked witch that has taken all the stickers from the little town of Mermaid Waters. It your mission to save and restore Mermaid Waters back to its peaceful and happy world by answering educational questions. Just beware of the evil witch – I know my little learner was not too happy to see her face. Applicable2U thinks that when you put an interactive story, stickers, learning, verbal praise/medals that it will equal huge smiles on any users face. As you begin to restore Mermaid Waters, main characters Hana and Corey will ask your child their age (ages 3, 4, or 5). Unlike other educational apps, Stickery indicates levels of difficulty by age. This will determine the types of questions and how they are presented to the user. Regardless of age, each user will be working on language and literacy skills, along with mathematical skills. In a fun and interactive way, your preschooler will be developing their vocabulary, alphabet, word/print recognition, basic number sense, and measurement. To begin saving the stickers, open the unlocked door to Mermaid Waters. Here, users will answer questions, if correct, a thermometer like tool in the lower right hand corner will begin to fill up. A note to the developer – As the user is listening to the question(s), might it be possible to lock the choices until the entire question has been read? As a teacher, I am thinking about those students/children that are quick to click before they truly understand what is being asked of them. After answering five questions, you have saved one of the many stickers needing help. At the bottom of the screen, those restored to Mermaid Waters become apart of your library. Be sure to share with your child(ren) that they can take a story/game break by building a scene with those stickers collected. As they drag and drop them into the water their vocabulary begins to widen. With the use of the camera tool, underwater scenes can be saved to your Photo Gallery on your iPad or iTouch. A note to the developer – our review is based on implementation through an iTouch. As the screen is smaller, might it be possible to pinch stickers to make them smaller or larger? If a user puts multiple stickers into their scene it appears a bit distorted. As you navigate through this educational app, you might notice that other worlds are shared yet not accessible. These stories can be continued in future downloads from your iTunes library. We are excited to share that AppyZoo will be adding new features to upcoming updates of the Kingtom of Stickery. If you are interested in learning more about AppyZoo, then be sure to visit their website. 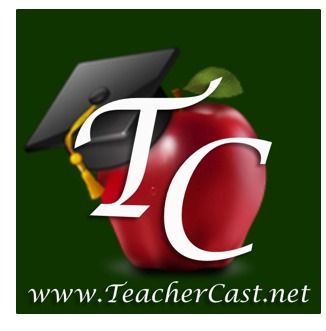 Currently, the app is FREE, so begin downloading today from your iTunes library here.